I like very much this new look for the site! I would like to talk to you today something urgent please sir. Thanks for providing useful insights on the alternatives to milk products.The video is an eye opener. Will look for alternatives in canada and incorporate them. I hope you all are fine. Although I have been seeing all the new comments on my tablet I was not able to write anything. About half an hour ago I had a call with Tavamithram sir and I got a boost in my mind. I have understood that when we have to face tough situations we only have the choice of making ourselves strong. My attitude to life has changed.Nowadays I don’t feel low and sad for all the problems I have faced until now. 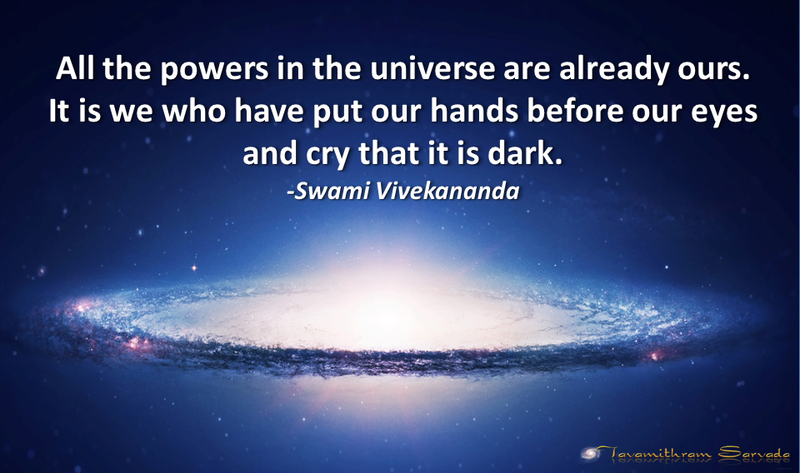 Today I will go through the speech of Swami vivekananda and revert in a day or two. We come across a lot of babas, godmen, missionaries and other preachers from different religions who try to spread their philosophy, with each one saying that theirs is the only true way. On the other hand, we have the Sanatana Dharma which is the only way of life that has no concept of proselytisation. Sanatanis don’t travel to other lands and plunder them, force others to convert into the Sanatana Dharma or claim that theirs is the only true way to attain God. In this way of life, there are no dogmas or strict rules that followers are forced to adhere to. Praying every day or dressing in a particular fashion is not compulsory. This physical and spiritual freedom makes the Sanatana Dharma unfit for politics. The ‘Varnas’ described in the SBG was misinterpreted by colonisers who practised the ‘divide and rule’ method and the caste system was created out of them. This has lead to some dissatisfaction and also disillusionment among followers of the Sanatana Dharma. The main objective of marauders and colonisers was to break the strong ‘Dharmic’ backbone of the people of Bharat (India) so that they could take over the entire nation and convert all Indians into their respective religions or cults. However, even after India being under cruel foreign occupation for over a thousand years, the Sanatana Dharma still flourishes with over 80% of the Indian population who have retained their Dharma and have not converted to other faiths. Despite the inherent divinity and strength that exists in the hearts of Indian people who did not convert, most of them have no proper idea or impression about the Sanatana Dharma they follow. Most babas and godmen make sure that the general population continues to be oblivious to the main principles on which the Sanatana Dharma came into being. Such babas with divisive tactics, form their own groups, sects and cults and disturb social cohesion. In the year 1893, on the 11th of September (yes 9/11), the great Swami Vivekananda, began giving a set of historic speeches at the Parliament of World’s Religions in Chicago, which was held between the 11th and the 16th of September that year. Listening to all his speeches and reading the texts take about 45 minutes and the time spent will certainly be worth it as it can remove a lot of misconceptions about the Sanatana Dharma which most people have. May the speech of Swami Vivekananda serve in encouraging all of us Sanatanis to take pride in our Dharma and to be sincerely thankful for our own Karma and also to our destiny for having brought us all into this supreme and peaceful way of life in this Janma. My suggestion to you and to everyone else would be to perform sufficient research and be thoroughly convinced before making major dietary changes. There are a lot of informative films that you may watch and you can also find a lot of vegan groups in social media through which you could interact with other vegans. It should be easy to find non-dairy milk products in supermarkets particularly in the West. In Germany we buy products from reputed manufacturers such as Alpro and Alnatura. These products are so good that you will not miss dairy products at all. You can also study different websites which have a lot of information on vegan products. People who consume packaged dairy products need to think for a moment about the cows that give milk. Do you know what those cows are fed? Whatever they are fed finds its way into their milk and you ingest it along with the milk you drink or with the cheese or any other dairy product you eat. Also think about the way cows are treated. Soon after milch cows deliver, their calves are taken away. Female calves get to continue to live and become milk producing machines while male calves are taken away to be fattened for a few weeks before being slaughtered and sold as veal. I give you again the link to the page with different films on the subject. In response to the video from ISKCON member, I would say that casein is a protein that is present in all kinds of milk whether it is a A1 or A2 kind and has the same detrimental effect. After watching Dr. Barnard’s video, I have inferred that there is nothing “Organic” about milk. Thanks for posting such an important video which I am sure is highly informative. It is common across most of the parents that have special children avoid milk and milk products. The reason is that consumption of casein, a protein in the milk triggers abnormal immune response thus causing gastrointestinal disturbances. This results in leaky gut and toxic substances easily pass through blood-brain barrier causing opiating effect which was mentioned by Dr. Neal Barnard in the video. The researches have shown that stopping milk products (among others) shows improvement in overall cognitive skills of the autistic children. There are several thousands of parents who adopt casein-free diet to help alleviate autistic tendencies among special children. I have also read a book written by Dr. Biswaroop Roy Chowdhury that milk and milk products are one of the main reason for wide-spread cases of diabetes too. I am sure that avoiding milk products can really help get back healthy life. It is a question of one’s grit and determination to refrain from consuming milk products as milk is certainly addictive as much as caffein is. Thanks for such a beautifully penned response complemented with facts and figures.I am sure whatever doubts most of us had , have been laid to rest after going through your post.This has been beautifully substantiated by a lecture from Dr Neal Barnard on the importance of being ‘ vegan’ and the ill effects of consuming animal products like cheese over a period of long run. I was equally perplexed when I came across this video in some FB group. I am certainly not a protagonist of ISKON nor one of those who tend to follow the western cult. That’s precisely the reason ,I chose to vet it through you given the immense knowledge you have. I would like to take this a step further. We have seen the benefits of going vegan.But I would appreciate if sir you or any of our members could actually list the substitute of milk , cheese, curd, which we can consume on a day to day basis , which will actually make the transition easy for most of us. Many of us want to switch ,but then we think about substitutes that we could probably use. Kishorji, you have turned vegan, would be great if you could enlighten us with your inputs. Jai shree Krishna to you all! I have been a vegetarian all my life but in 2002 when my son was born all of us at home gave taking dairy products. My son is lactose intolerant and that was the main reason for the change in our food habits. Medical researches prove that plant based diets are better for human health. I have attended some great lectures of Dr. Neal Barnard in the US. He is a champion of the cause of popularizing plant based diets. I wish everyone good health, peace and prosperity! I thank you for your comforting words. The problem which I am in is difficult but because I have a clear conscience I am not worried about anything anymore. I am following karmyaoga without thinking about what will happen. You have studied the Bhagvat Gita well. Good! I wish you and your family good health, peace and success. Thanks a lot for explaining clearly in reply to Anupamji. I also saw this video because somebody forwarded this video to on whatsapp to me. Today morning I saw only 10 minutes of the new video of Dr. Bernard but I will watch it fully in the evening. It is shocking to realize how the industries are fooling us! A presentation by the 64 year old (young) Dr. Neal Barnard M.D. – the person who is behind the latest ruling by the United States Department of Agriculture prohibiting marketing claims by the dairy industry saying that milk has health benefits. The 55 minute video is worth watching for people who wish to be healthy and fit apart from wanting to stay on the planet for a longer time. You have posted a video that I too have come across quite frequently on social media and you have asked me what I think about it. Please find below my response and my comments on this video along with what I as a vegan think about consuming animal milk. He also goes on to say that we humans are some kind of agents of the creator and it is our responsibility to ensure that bulls are ‘exercised well’ and don’t become too fat! It is so strange that although there are hundreds of useful and informative videos on the internet, people tend to choose that one video in which someone speaks something that agrees with what they think or do. People like this man claim to know the Bhagavad Gita so well and they preach Krishna consciousness but they also covertly inject their western philosophical ideas into the minds of people. After centuries of being under foreign rule, most Indians have developed great admiration for whatever a person from the west utters, even if it is plain rubbish. The way these western people sell their ideas to us Indian Sanatanis is like an Arab selling coal in New Castle or an African trying to teach an Eskimo what ice is. But they do that because many of us Indians, due to various reasons, are ignorant of our own Dharma and that is why we need someone from the west who studies our Dharma and teaches it back to us. Bhagavan Krishna who is also known as Gopala which means ‘protector of cows’, is believed to have loved cows and enjoyed consuming their milk and butter made out of the milk. It is because of this reason that Krishna movements and cults praise the consuming of bovine milk. The man in this video talks about ‘ahimsa’ milk! It is something like a butcher telling his customers that he doesn’t slaughter animals but convinces them to ‘happily’ commit suicide in order to donate their meat. This is absolutely ridiculous. Let’s be honest and agree upon the fact that a female mammal produces milk for her own babies and not for those belonging to another species. Her milk has been specially designed by nature in order to help in the growth of her little one. Cow’s milk has four times more calcium than that found in human milk. That is because a small calf that grows into a large animal with a large skeleton four times faster than human babies do, needs it. What is the need for human babies to drink cow’s milk when they don’t need to grow so big so fast? It is a well known fact that no other species other than humans, continues to drink milk after weaning and even into adulthood, more so the milk of another species. By the way, rat’s milk contains 11.8g/100g. It can be clearly seen that the protein and calcium contents in cow’s milk are much higher than in human milk. This high calcium content in cow’s milk is required for the rapid physical growth of a calf. A human baby usually takes about 24 weeks to double its weight and calves take only 7. Human babies need calcium for the development of their brains whereas calves need calcium to make them bigger and stronger. Healthy human babies average around 4 Kg at birth and are usually weaned when they are around one to one and a half years old. It is important to note that by the time calves are weaned, they are eight times heavier than what they weighed at birth. It is like a two year old child weighing 32 Kg! Cow’s milk contains about three times more the amount of protein than in human milk. This creates metabolic disturbances in humans causing detrimental bone health consequences. It is true that children have faster growth when they have cow’s milk but it has been proven that the high calcium content in cow’s milk does not strengthen bones but they cause osteoporosis. Milk acidifies the body pH which in turn starts a process of biological correction. Calcium, which is stored in the bones, is good at neutralising acid and it is used to neutralise the natural effect of acidifying that milk has. This diverting of the calcium for a different purpose causes a deficit in calcium in the body that is required for the strengthening of the bones. Once the biological correction of the pH level is done, the calcium is sent out of the body as waste matter. The final result is calcium shortage due to drinking cow’s milk. Dairy products also contain casein which is known to be a carcinogen. Children with ASD (Autism Spectrum Disorders), who are given Casein Free Diets have been found to have shown dramatic reduction in autistic behaviour. Human diet has evolved over centuries. Many civilisations have tried out different kinds of diets and settled for the ones that were most suitable for them. People of some civilisations drink camel milk and also donkey milk. Humans evolve through rationally guided trial and error. Veganism is a step further in the evolution of human diet. There are numerous cases of disease reversals through plant based diets and avoiding dairy. I have personally seen people with advanced carcinoma, recovering simply by giving up dairy and all kinds of animal proteins; and by adhering to a plant based diet. Humans are basically designed to be herbivorous and frugivorous and like all other mammals, need mother’s milk only when they are babies and not when they are adults! It would be advisable for everyone to do sufficient research in order to find out what is best for them and for their children. Don’t get carried away by such funny videos posted by people with vested interests. Ask questions, read, analyse, talk to people and make sure that whatever you send down your oesophagus is clean, healthy and sinless. After all, it is a question of your your health, long life and of your Karmic evolution. My reply to your question will follow shortly. Are you thinking of becoming a vegan? If so I appreciate you for it. I turned vegan only after I contacted Tavamithram sir. I have also watched this video which you have posted and I have spoke to sir about it. My decision to become a vegan was after a lot of research and thinking. Now my other family members have also become vegans. I am waiting to read the reply that Sir gives to your question. The video was posted in one of the Bhagwad Geeta groups in Facebook on ‘ dharma’. Please find below a youtube link, please view the video. Sir, what are your thoughts on this one. Superb explanation about Karma sir.Thanks a lot for sharing this. Tell us what you are feeling now.Need not worry about anything Sir.All will be ok. This is the passing stage and you will reach soon on another area of your life.And I am sure it will be the happiest place of your life. by His illusive power, to revolve as if mounted on a machine. Me. You are only an instrument, O Arjuna. A highly motivating Hindi poem in the powerful and booming voice of Amitabh Bachchan. Jai shree Krishna Mr. Kishor. A big thanks to you for your reply. At least now I have understood that I am unnecessarily worrying about many things which have not happened yet. If something has to happen it will happen and so I am trying to be comfortable in accepting temporary failures. Tavamithramji reminded me a quote of Thomas Alva Edison when he was talking to me,“I have not failed, I’ve just found 10000 ways that won’t work.” I love this quote so much! I have started a new day and I am keeping on telling myself that I should become a positive and strong devotee of Lord Krishna like how Tavamitramji is which I am slowly becoming. This superb and detailed article on Karma has come on right time when my mind is flickering to understand situation around me and comprehending the same .. This has helped me to remove further doubts about why me situation and gives new vigor to progress further fearlessly ..
At the outset I would like to sincerely thank Tavamithramji, Mr. Amal, Mr. Kishore, Mr. Anupam, Mr. Krisna Kumar, and all others who have extended me a warm welcome and have tried to soothe my troubled mind with kind and consoling words. It would be carelesss on my part if I do not write about the current state of my mind after my communication with Tavamithramji. Until last week my stress situation was so high tht it was causng me cardiac arrhythmia. I had two telephone appointments with my new friend and brother Tavamitramj. At first he calmly listened to the problems I am facing. When I was talking to him I could feel very strong energy coming from him. Then he started to talk to me. His words are very powerful and within a quarter of an hour he could comfortably calm me down and make me feel like there is no problem at all! Prior to our call he wrote to me that it would be better if I read the Bhagvat Gita before our appointment so I took a full day and read it. The video of the 128 verses was a treat to my eyes and to my ears. I have started to feel the presence of Shree Krishna. I wanted to write on Sunday itself but I excused myself because I wanted to complete a task that he has given me. The task is a major step in solving my problem. I started to write on the forum today when I read about the new post on Karmyoga. I read it twice. I would like to express my thanks for this post which is the cherry on the cake of wisdom that I received in the weekend! From the points that I have noted down, I have chosen to set my mind to reach a very important stage which Tavamithramji told me. He asked me to learn to remove worries fully from my head because worries are causing more and more fears. I was surprised when he said with so much confidence that he is prepared for anything anytime. Then I thought why I also can’t be like that. So I have also started to enjoy the present moment. Everything I learnt are totally new to me but they have calmed down my mind which was affecting my work and personal life. I am undergoing serious difficulties but I will surely face them with a smile because I have placed my soul at the feet of lord Krishna. Surely I will keep in contact with you all by participating in this forum. I send my best wishes to you all and to your families and friends. Health, peace and prosperity to all. A new post ‘Karmayoga – explained’ has been published on our sites. It is a dialogue between Bhagavan Krishna and Arjuna about Karmayoga (the path of right action) and Karmasanyaasa (renunciation of action). 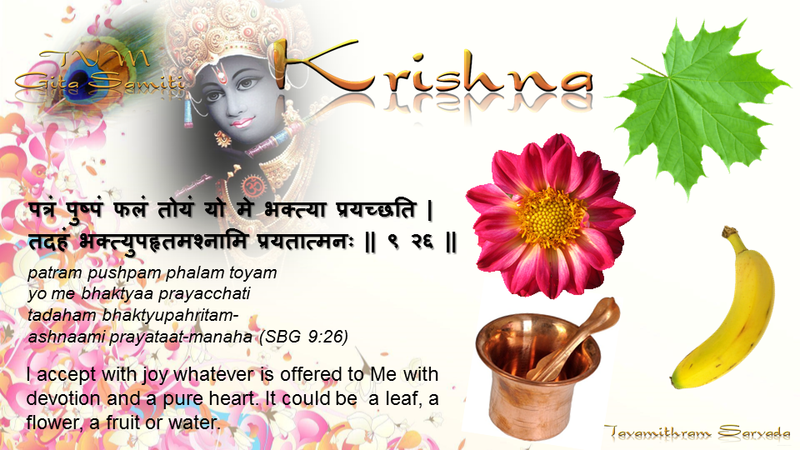 Bhagavan Krishna explains to Arjuna the true meaning of Karmayoga and the importance of following this path. 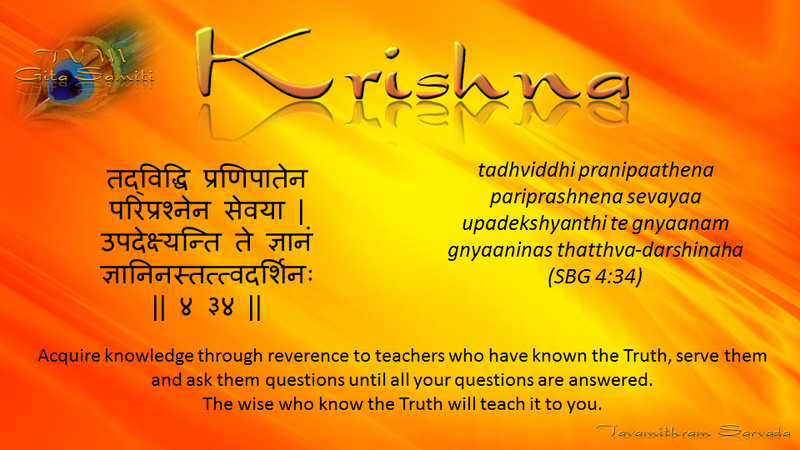 The post includes relevant verses from the third, fourth and fifth chapters of the Srimad Bhagavad Gita. Happy Teachers’ day to everyone. Even the greatest scientist, doctor or astronaut had teachers. They started learning from their Kindergarten teachers and went on to continue higher studies under other teachers. The profession of teaching is the most blessed one even more revered than the medical profession because in order to become a doctor, they first needed to be a student of a teacher. It is our teachers who play very vital roles in the shaping of our lives and that has a direct impact on the society we live in. said Bharat Ratna Dr. Sarvepalli Radhakrishnan, the second president of the Republic of India. Teaching a student a subject is one thing, but teaching students the art of learning and to think for themselves, is another. Dr. Sarvepalli Radhakrishnan was born on the 5th of September 1888. 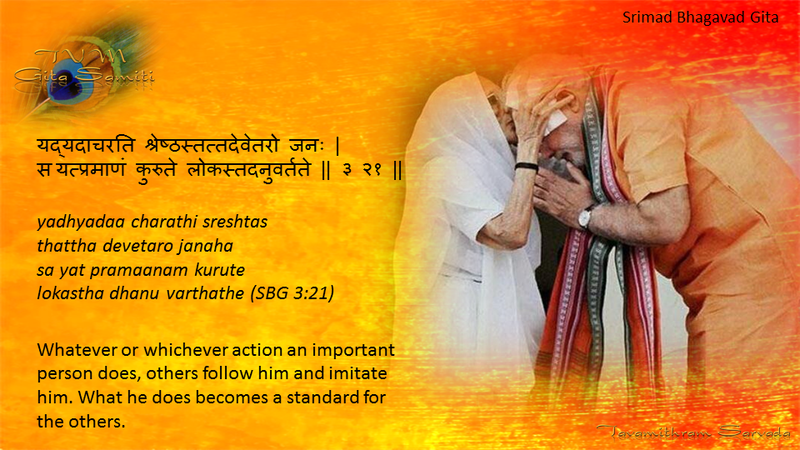 His birth anniversary is commemorated as a tribute to all Gurus and Teachers. Dr. Radhakrishnan who was an acclaimed teacher was greatly revered and loved by his students and all others. He strongly advocated Advaita Vedanta and vehemently defended the Sanatana Dharma (Hinduism) before critics from the west. He explained to outsiders that the Sanatana Dharma is scientific and founded on facts; and not on some fairy tales told through religions spread by the west. He taught that worshiping the Omnipresent Absolute One is the highest form of philosophy. I bow down in all humility before all my teachers who illumined my life with their knowledge and wisdom. Also please accept our sincere gratitude for teaching and explaining us the great scripture of the world Bhagavad Gita and about our Supreme Guru and Supreme Bhagavan. Spirituality and godliness come from kindness to all beings. Krishna does not expect His devotees to slaughter innocent sentient beings in order to please Him. What really matter are a pure heart and devotion. Please accept my warm welcome as well, to this wonderful family of optimists, led by the selfless, inspiring Tavamithram. 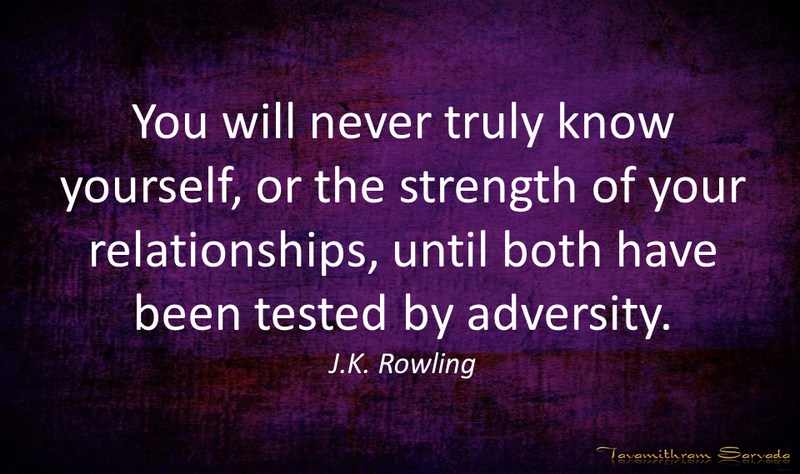 Yes, we have all been through these trials and tribulations of life and hence are a strong, close knit family here. The very fact that you have accepted and acknowledged your “mistake” means that you are already on the correct path. From hereon, you are in the blessed auspices of Tavamithram and the loving care of our family. May Bhagavan Krishna bless you abundantly. Thank you Mr. Anupam for sharing your positive feelings into me and for talking about the struggle you went through. Whatever I have read here so far does not disturb my basic skeptical mindset which grew in my mind since I took up studying medicine a long time ago. I am pleased with what I am learning here because my move into spirituality is not sudden. I find all the explanations given here to be rational and acceptable. I must have read the Sadesathi and sadesathi what next more than five times. What I read there is so very different from what some of my family members and friends told me. I like the part where he says planets don’t conspire the destruction of people! Currently I am in a deep problematic situation but bit by bit I am trying to gather some courage to face all kinds of downers. My appointment with Mr.Tavamithram scheduled for 2/9 Saturday. I thank you and all others for the moral support. I am hoping by the time my post is on the forum, you probably would have had your first telecon with sir. I read your post and although I don’t really know what is the magnitude of your problem,but like many others on this forum my response is no different than others , you will begin to realize and feel that what sir is talking is suddenly making more sense than anything else in the world. I can tell you from my personal experience ,that I was in a pathetic mental state when by bhagwan’ s grace I happen to go through the website tavamithram.com. I had not even the slightest hopes that sir will respond to my email.But to my surprise not only the email I ended up talking to a very noble person ,a selfless human being.The baritone,the examples, the personal touch, with he comforted me and at the same time I felt that as if it was all making sense . It was no magic ,but he taught me the essence of life, the same Bhagwan Gita which I couldn’t even think of reading let alone once in my wildest dream,I guess I would have read countless times, no jokes, no exaggeration. I am not saying that I don’t have problems or tensions but you can feel the difference. Yes I am still trying to follow the principles of SBG in my practical life, many times I have faultered,but trying. As you will read through the reading corner/SBG you will realize that whatever sir has written makes perfect sense. Please do share your experience of your conversation with sir, let us know how you feel. May the blessings of Bhagawan Krishna guide you and help you tide over your difficulty. I thank Mr. Amal and all others who have wished me good and have offered to support me. In the last two days after doing reading almost everything on this site I learnt a lot. My condition has not changed but I am feeling more optimistical about the whole issue. I wish I learnt this way of thinking a long time ago. I would like to ask Mr. Tavamithram – Do you conduct any webinars? I have seen all positive reviews from people in this forum I think you will have a better reach and effect if you do that. Anyways I am awaiting your confirmation for my phone call appointment with you. How are u? I should thank you for posing your questions so we recieved such a nice explanation from sir. Even I use to face difficulties in deciding how to react when other people kept on insulting me. If we see god inside everybody we will react in a more calm way when they say insulting things to us. Many changes are happening in my mind so my life is changing in a good way. Thank you to dear Sir. Warm Welcome to our family and as Kishorji noted, you are now at the perfect place. You are very lucky and you have a wonderful soul also, that is why you got the contact of our sir on the correct time in your life indeed. Our sir will explain everything about your doubts and anxiety that you are facing now. Believe one thing, all our fear and anxiety in this material world is because of our MIND. So if we can control our mind all will be ok. Nothing unbearable shall ever happen. What my suggestion is first immediately you can fix an appointment with our sir and follow the instructions strictly, you will be all right with in one day. Here in our family and off course others also face lots of problems in their life. Those who are controlling and accepting the situations and living based on the five pearls theory mentioned in this site by our sir, will be definitely OK, even though there is no changes in the situations. Out of so many peoples who are suffering, there are few who all are actually inquiring about their positions as to what they are and why they put into these awkward positions and so on. So we are in that group and it is a perfect time to you to start a new life. Keep writing your experience before and after talking with our dear Guruji. This is in response to a few questions asked by Radha in her post dated 29.08.17. You must have read in the second chapter of the SBG the detailed explanation given by Bhagavan Krishna to Arjuna about the fact that the inconceivable, noncombustible, unbreakable, insoluble and indestructible Self is different from the body. Bhagavan enlightens Arjuna about people wrongly identifying themselves with their body which is temporary. The Self and the body are separate from each other and so are the Self and the ego too. People also wrongly identify themselves with their body and mind. It must be understood that the Self is Divine. The Self is the Supreme Truth. It resides in the body which lasts one Janma. At the end of a Janma, the body is shed and the Self moves on carrying along with it the mind and the senses. What we call a human being is in fact a ‘unit’ formed by the body, the Self which is life in that body, and the mind. Altogether, they make one ‘unit’ called a human being. In some of my earlier posts, I have given the analogy of a person driving a car. When seen from outside, the person driving the car and the car appear and move as one unit but neither is the person the car nor the car the person because they are distinct from each other. Similarly, the body the mind and the Self are distinct from one another. A person has a body which includes the brain, a mind, the five senses and above all, life which is the real Self. SBG 13:28 “Such a person perceives the same Supreme Bhagavan dwelling equally everywhere and he does not degrade his own spiritual well-being by MISTAKING his EGO to be the SELF like the way ignorant people do. He therefore reaches the highest goal.” We can see that the Self and the Ego are not one and the same. The body too is a mere vehicle that the Self uses to travel in through a Janma or lifetime. SBG 18:14 The five factors are, the body which is the seat of action; the ego that claims to be the doer; the mind and the various senses; the distinct types of movements and functions performed by the being; and the Super Consciousness or Divinity within the being, as the fifth factor. 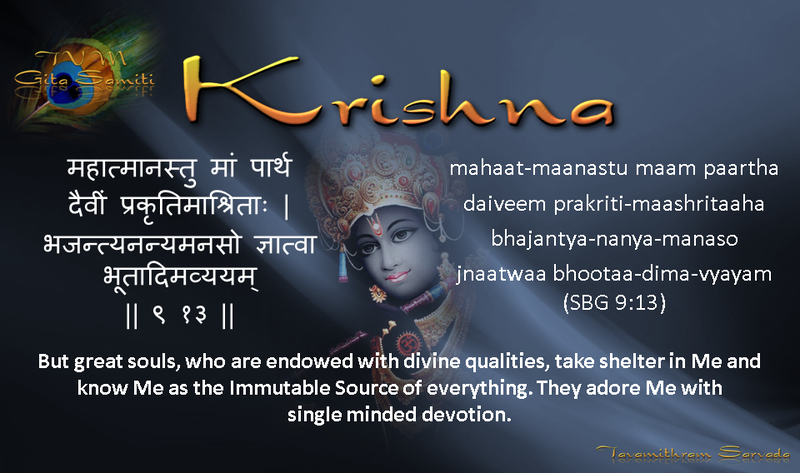 Therefore the Self is the Supreme Truth and it is Bhagavan Krishna Himself. The Self certainly needs to be greatly respected. Self respect is respecting the Eternal and Supreme Truth within us whereas harbouring ego in the mind leads a person towards believing that they are someone who they are not. 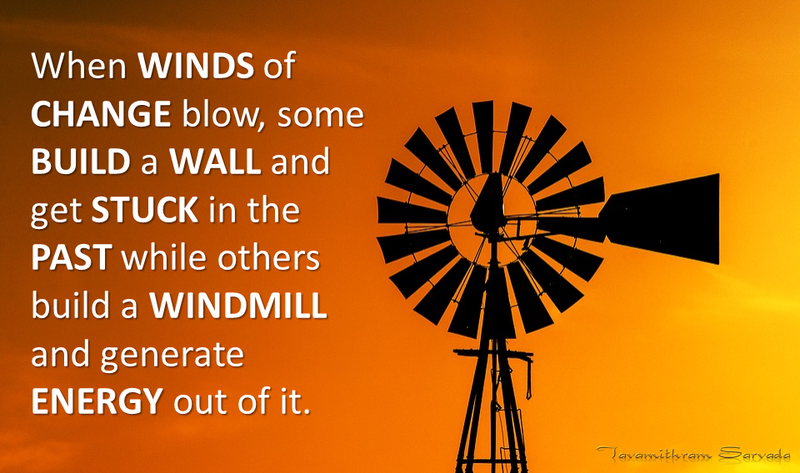 It is like inflating a balloon that can burst any time. Ego is an illusion. Haven’t you noticed that ego does not exist when a person is asleep, unconscious or after the Self leaves a person’s body? When a person’s ego is hurt, it could mean that the person thinks high of themself, they feel they are entitled to being treated in a certain manner and that the person who hurt their ego, has not given them the respect they believe they deserve. Ego numbs a person’s intelligence and the power of reasoning. It separates them mentally from others and from the entire system we are all is a part of. Ego makes their virtues as well as their mistakes appear larger than they really are which is one of the main causes behind the wrong choices people make in life. When you feel emotionally hurt by someone, forgive them but do try to communicate your feelings to them in a friendly or even in an indirect way they would understand. It is important to forgive because that is how you can stop a new Karmic cycle of hurt and revenge from forming. Respecting oneself begins from caring for the body that one lives in, acquiring knowledge, improving existing skills or learning new ones, practising kindness and maintaining a positive atmosphere at all times. Respecting oneSelf and the Self in other beings means respecting the Omnipresent and immanent Bhagavan Krishna. But feeding one’s ego, drives them away from the Truth and deeper and deeper into illusion leading to delusional thinking. is fit to attain Brahman or Super-Consciousness. May everyone be blessed with the Supreme Knowledge taught in the Bhagavad Gita and may sadness, anger, jealousy, sufferings and misery be removed from people’s lives forever. Thank you Mr Kishor for your response! How very kind of you! Yes, I will be sending a detailed mail to Mr.Tavamithram today. I am pleased to hear positive words from you which say a lot about your outlook and give me hope too. Due to time constraints I was never a person with a spiritual mindset but after spending the last four hours reading on this site I think I will need to lay more importance on spirituality. I read the five pearls which I find to be the bare minimum requirement for people to lead a happy life. Everything is very well explained. The sadesathi what next is the perfect description of my situation but it I feel it also appears scary. I send you my good wishes and prayers that you may face your difficulties and free yourself from them. Health, peace and prosperity to you and all others! Let me assure you that you are at right place , with right Guru and right community . Also assuring you are not the only person in such situation … I myself is ( and there could be many more in this group itself ) … may be the quantum , reasons may differ but we have this Karma to be serviced in our life . I am deriving lot of guidance and solace from TVM sir and it is working .. Just to say what you are saying I have been experiencing since last over 1 year , each day I have passed was supposed to be last day . Each week I used to think how I could survive next week or how would I look next Monday … The things are still same at material level , may be little deteriorated , BUT the mind is more calm and steady what it was earlier …. Just follow Sir’s instruction , Have faith , patience and prayers to Krishna and he will take care of …..I believe….Keep communicating and sharing …. Sir, till now we have been learning so much from you about ego, selflessness, surrender and so on. You have also taught how important it is for us to fight against evil. Here I have a question. Is there a difference between self ego and self respect? If yes then what is that borderline between both of them?? I would like to know from you with some real life scenario. By god’s grace I am a well qualified person based in the US because of which I have been holding quite high positions in my profession. Last year November an error occurred due me with the result a severe legal case has been filed against me demanding huge compensation. I will need 4 births to pay up the claims. Since that time I can feel that my position, social standing and my financial strength crumbling under my feet. My janmarasi is makara so I am in seven and a half period of saturn. Can you tell me if things will become worse for me? I accept my mistake in my profession which was not deliberately done by me but to tell you the truth as of today I have lost all hope of surviving this major threat to me. The law is very strict which makes me to live under permanent fear. I get drastic thoughts in my mind very often. Please advice me and tell me how I should save myself. Can you suggest me the necessary parikarams for my problems? Thanks a lot for your new writings on love and relationships. I read the comments from others also. All of us experience the Karma some time in life. Then I asked myself the questions which you have written on your post on august 26. I read again anad again. First of all we are very lucky to be Hindus which allows us to ask our teachers if we don’t follow something. If we ask the questions given by you to ourself, our mind becomes very clear. My new habit of reading different chapters from Bhagvat Gita whenever I feel like is making me more and more steady minded. All credit goes to you for leading me into this new good habit. I bow before you with thanks for your valuable time which you have given me for taking my call and by patiently replying to my mails. After following what you have explained so clearly I too can understand why you always say that the mind is the cause for all problems. Please write more about Karma and what all precautions we need to take to prevent our Karma from becoming worse. *Superb responses by Mr. Amal, Ms. Radha Phadte, Mr. Kishor and others. I enjoyed reading them. Next week I will prepare and write in detail. O Arjuna, it is under My direction and control that Nature brings out living and non-living forms. Thus does the entire cosmic manifestation undergo changes of creation, preservation and dissolution. Foolish people, due to their lack of understanding of My higher nature as the Supreme Bhagavan of everything that exists, disregard Me when I descend in the human form. Befuddled and perverted is their understanding and they are attracted by demoniacal and non divine views. They are cruel, vain, senseless their culture as well as knowledge are destroyed. But great souls, who are endowed with divine qualities, take shelter in Me and know Me as the Immutable source of everything. They adore Me with single minded devotion. Steadfast in their vows, these ever integrated devotees worship Me with devotion and prostrate before Me. Others who work on cultivation of knowledge, worship Me the All-Inclusive Supreme Brahman in My universal form, as being separate from them or in my infinite manifestations. Somehow many people seem to overlook these basic principles of the Sanatana Dharma and they sink into permanent melancholy instead of celebrating being alive and conscious. They are sad because they feel positive changes do not happen in their lives. Expecting changes, whether positive or negative, to happen in life without making any changes in the five factors mentioned in point no. vii. is sheer stupidity. a. why does my life follow a particular pattern ? b. why is it that I manage to invoke similar reactions from whoever I interact with? c. am I showing enough respect and giving enough importance to others like what I would expect from them? d. am I being grateful to others for gifting me the most important and rapidly depleting asset which is their time on the planet? e. do I know what I want in life? f. why do I have this feeling of entitlement? g. in which way am I superior to others? h. how am I expressing my gratitude towards nature for all the good things I have and for all the bad things I don’t have? All of us are SEEKERS. No one is superior nor inferior. We happen to be in different stages of our own Karmic evolution. Nature’s laws will NEVER change and therefore it is we that need to change. We have two choices and they are either LEARN or BE TAUGHT by nature in the form of experience, of course. Do you want to see magical changes in your life? Well, the way is to shed ego completely and to go for total SHARANAAGATI before Bhagavan Shri Krishna. Also see the page Sharanaagati under Krishna and the Sanatana Dharma. Happiness is just a state of mind and it can be acquired any time by anyone who has a clear mind. DELUSIONAL THINKING IS THE PRIME CAUSE FOR ALL SORROWS, TROUBLES AND MISERIES. Thanks a lot for your blessings sir. Happy Ganesha Chaturthi to sir and all! 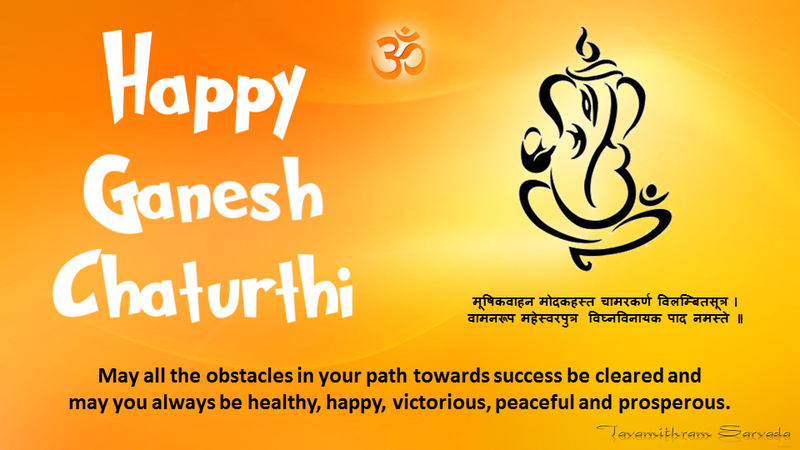 A very happy Ganesh Chaturthi to all…..
You have certainly come a long way Radha. There is very good clarity in the way you think. The term ‘selfless love’ is quite a tricky one. Different people define it in different ways. However in simple terms, ‘selfless love’ may be defined as having positive feelings for someone without expecting anything in return. It has nothing to do with ‘owning’ the loved person or having him or her next to you all the time, but it indicates wishing that person well forever. If you truly love someone, always wish them happiness, good health and prosperity. In case they are far away from you or are not in regular communication with you, just send them your good wishes, your positive thoughts and wish them their well-being. Remember to not even expect to hear from them in return for your positive thoughts for them. Most humans are slaves of their mind when it actually should be the other way around because it is the mind that is meant to be our slave. The mind which is basically unsteady by nature, takes over as the master of a person and begins dictating terms on their likes, dislikes, moods, passions and also on their relationships. Since most people are under the control of their minds which are usually unsteady and highly impressionable, expecting them to be the same at all times would be like expecting a full moon every night. But people who learn to see above the world of ‘Maya’ or illusion, understand that the one and only Truth is Krishna who is Omnipresent. Those who see this Truth in people, give themselves up in the true, universal, divine, unconditional and selfless love of Shri Bhagavan Krishna, expect nothing in return and therefore never feel let down. May all of you be blessed with His abundant love. I can completely understand what you have explained in this article my dear sir.When reading this I was actually thinking of my situations in life. As you and some of our family members know exactly about the situation that I am facing from last couple of years, related to my relationship with my better half (Don’t know I can use this word or not).Everything collapsed in one fine morning and many of my friends, family all tried to find out a solution and nothing progressed. In fact we both of us don’t know what the real problem between us is. Now also I am ready for accepting her, whatever her conditions are, but nothing is happening. Now the scene is with Bhagavan and I am sure, he will give whatever is good for both of us. One ,is Love and relationship is ridden with lots of expectations and frustrations. And other one is TIME. We cannot afford to carry any grudges in our hearts about our loved ones. We cannot afford some negative feelings for people in our hearts. And when that people is not with us anymore we can’t get a chance to apologize and we will carry that all over in life. And there for the relationship of this world, sometime just people disappoint us for who they are and sometime TIME disappoints by taking them away from us. So what my suggestion and what I am practicing is LOVE our Bhagavan unconditionally. When we experience love of our supreme Bhagavan in our heart that Love manifests as compassion and concern for people in this world. Sir, very cute puppies. I set it to my desktop. Thats amazing explaination about love. Love is to give selflessly. Its the most important aspect of life. Or we can say its a basic necessity of life. We common people sometimes tend to keep incomplete or faulty notions about certain things in our life. Love is one of such concepts and aspects of our life which we define according to our needs or what we see in movies or what we read from books. We feel the importance of love only when we want it and we ignore when we have to give it. Sir, till now I was living with one notion and that is……Love is the greatest energy and the ultimate law of the universe. But the major setback of my life and later the entry of your divine guidance are refining my notions. You have also taught us what is genuine and unconditional love. But to reach to such a high and refined level of understanding the true love clearly and feeling it is possible but very difficult because we are living in the world of desire, expectations, possesiveness, companionship and so on whose root is selfishness in some or the other way. Whereas the root of true love is selflessness. 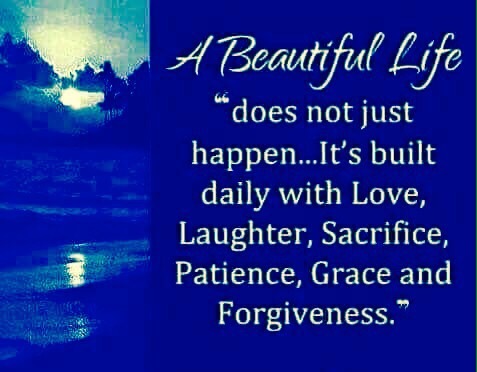 Every day, every moment and the incidents in our life or may be in our surroundings come up with the thruths of life. Some time back I used to believe that, when two people love each other deeply they can never part away. But when I observed some examples of some of my friends and other familiar people, I reached to one truth and i.e. even deep love can get nullified. Then I had another belief that the love a child has for his/her parents or the love that the parents have for their child is always deep, genuine and unconditional. But then later I remembered the fact that some parents have dropped their even new born babies into garbage bins and there are such parents as well who divorce and kick their partner out along with the kid. And also we have a recent example of Mr. Vijaypath Singhaniya. With all such experiences of my own life and of the surroundings and of course the facts taught by our Sir, I can say that I have become able to realize, feel and believe strongly the only ultimate Law of this Universe i.e. KARMA…. the amazing and divine logic of balancing. I would like to say Karma is the only secret behind everything and everyone. As far as love is concerned, nobody can ensure whether the love will persist among people for lifelong or no, irrespective of the type of relationship i.e. the relation through blood or through written commitments or through verbal commitments. Because it only depends upon the Karma of one’s all the janmas till now. We as human beings see everything from the perspective of just current janma as we have lost the memory of past janma. But the Universe acts over the summation of all the janmas. So if somebody gets ditched or hurt in a relationship (even if his/her current love and nature is pure and deep) then definately he/she must have ditched or hurt someone else in the past janma. Finally its the matter of balancing. Whether its love or may be anything, above everything there is just one and the ultimate thing existing and that is the law of KARMA…..You reap what you sow. In the beginning when Sir spoke about Karma, I found it bitter. And when somebody who is in severe mental pain and agony hears about karma, it sounds more bitter. But when I read more and more about Karma on this site, and as I kept on learning about it from Sir’s explainations and as time went on, I started understanding and feeling that this truth is not bitter but its truly very amazing and my pain started getting diluted. What I feel is KARMA is the only Ultimate and the Perfect law of the Universe because of which Universe exists and in balance. Hence as said by Sir, it is everyone’s universal duty to act, think and speak in righteous manner so that the perfectly same amount of righteous act, thought and speech that is given out will flow in opposite direction. Give love unconditionally and selflessly. And same we will get in return. Jai shree krishna to Sir and all ! Very beautiful description … Since you mentioned travelling I can co-relate that in our real life and close relations we get too attached and hence at times get very happy as well as very distressing situations .. we travel by train and get some short term companion whom we like or dislike but at the back of mind are not bothered as we know some time / station we are going to be distant … Same analogy we can practice to compare with our real life relations ….At the end we have come alone and have to depart alone and should thank each and every relations though painful for allowing us to repay our past karmas.. I cried very much when I read this. So nicely you have written about love. The photo of the puppies is too cute! Many beautiful relationships are negatively affected due to the lack of patience; understanding; and open and honest communication. Two other serious threats to relationships are ego and the habit many people have of taking others for granted. It is saddening to see people distance themselves from or break up with the ones they deeply loved. If the love that one had for someone were to be true, how could it simply fade away? These days, the number of couples breaking up has been steadily rising. A lot of people among our members and visitors have been affected by relationship problems. Some of them succeed in getting their loved ones back while others unfortunately don’t. It is important to remember that we are all mere travellers in time traversing through various Janmas. We brought nothing into the world and will take nothing along with us when we depart at the end of ourJanma. 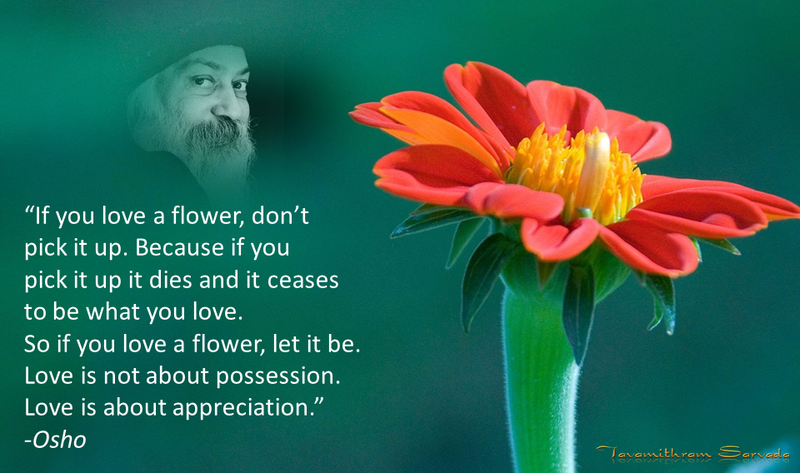 Material possessions help in making our Janma more comfortable but love gives more meaning to our life. 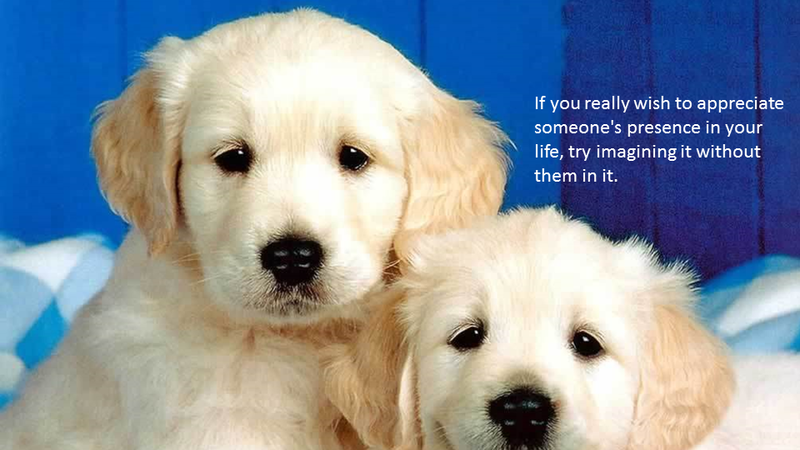 Sharing and caring make life even more magical and fulfilling. Love is the source of life and it is also the power that sustains and nurtures it. However, love cannot be forcefully obtained from others. It either happens or it doesn’t. It has a lot to do with destiny and past Karma. There are a lot of people who live solitary lives only because they don’t find love but there are also some, who for reasons known to them alone, turn down the love they receive from others. Spreading universal love and friendship is one of our prime objectives. Being there for others, especially when they are in need of someone to talk to, confide in or even pour out their feelings to, forms the core concept that this site is founded on. I personally wish everyone mental peace and satisfaction through the blessing of true love, friendship and companionship. May your love for Bhagavan Krishna fill your lives with His Grace and Love. The poem is awesome and wow! your recitation is super duper! Please keep pushing people like me sir….sometimes people like me might need a hard kick from behind! This came at the right time for me. I am standing in this exact situation in my life but after talking to you I have stopped worrying and fearing. I am thankful to you for making me stronger than before. Belated birthday wishes to your son! Vishal is a very nice name. I am sure that being your son he will be true to his name and will become a great person. Belated Birthday wishes and lots of love to Vishal. Wondefull poem sir. And amazingly effective with your voice. Among the many presents that we gave our son on the occasion of his thirteenth birthday which fell on the 21st of August 2017, I also presented to him this wonderful poem written by Rudyard Kipling. I would suggest everyone of you to go through this poem at least a couple of times and derive motivation and energy from it. A father’s advice to his son. Sorry for not replying to you earlier. From what Tavamithram sir has said about me, it is quite probable that my extremely sensitive nature and being highly self conscious were my major problems that hampered my life. In addition to that some seriously awful things too happened to me in my childhood. The first time my parents sought medical help for me was when I was almost 12. My parents were told that I was under severe depression. We then moved to another city because of my father’s job where I was taken to another psychologist. She noticed that despite my social problems I was very good at school and my scores were the best. After a series of counseling sessions the psychologist said I that I did not suffer from clinical depression but from manic depression which is also known as bipolar disorder. It continued for some years during which I was subjected to a whole lot of tests and counseling sessions. By then my parents were almost sure that there was something seriously wrong with me and that I had a doomed future. I contacted Tavamithramji in 2014 due the help of one my close friends. Later on I came to know that he is also personally known to a friend of our family. I hate saying this but at that time, my father was not very supportive of me. He trusted all that the shrinks said but due to his busy work schedules, he did not have much time for me. Straight into my first call with Tavamithram sir, I felt well cared for.I had some more counseling sessions with him on Skype where he talked me into fully opening up after which he literally walked with me through my entire childhood until the present. None of the shrinks whom we paid a lot of money did that for me. Subsequently he gave me some tasks to do and spoke with my parents. I don’t think it would be right on my part to write more details of the treatment he gave me but I can surely say that I am now termed an absolutely normal person. In September 2014, I stopped all unwanted medication and adhered to a healthy vegetarian diet. I read your post after your talk with Tavamithram sir. It is nice to know that your are feeling great! Do keep telling us about new developments in your life. Say hi to your wife from us! I doubt if I know the word to describe how I am feeling now. What I was thinking until a week ago and what I am thinking now are poles apart. As a matter of fact when I began to go through this site I knew that I was in for a fundamental change in my life. On the 12 August I got a reply from Tavamithram sir with a time for a call the next day. Reading the first few lines of the mail was like turning on floodlights in our otherwise gloomy and deteriorating life. Before our call with him, I spent 6 hours continuously and completed the tasks given to me by him. Just as we completed reading Sbg before our call my wife and me started to feel very light in the heart. We have been attending discourses on Gita through a world famous organization for 3 years but I don’t know why we never read Sbg. We had the most interesting and intellectually stimulating conversation with sir and that has caused my rebirth. 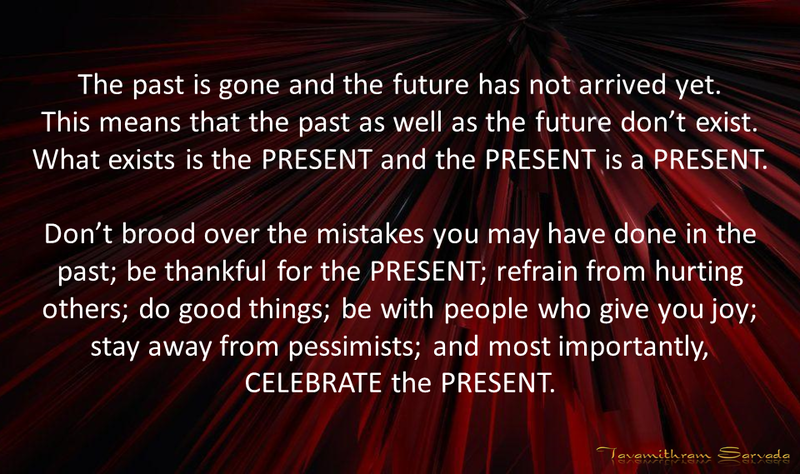 From that day I have been working on shaping my life for the future with the 5 pearls as the mainframe of my thoughts. When I read some hundreds of comments in the forum I found out that this site was started more than 3 years ago. I don’t know why my destiny did not bring me here much earlier. I think it could have been because I was not ready. Coming to think of it I used to be glued to some wrong ideas which were causing all my hardships. What Amal and Savithri mam said is very true. One of the greatest changes in my mind after my rebirth is that I have stopped holding others responsible for my misery. It is surprising that although we have always been devoted to Lord Krishna we are now looking at our relationship with him from a different perspective. The most important change is that now I know what I am doing and why I am doing it. In truth my wife and me have sorted many differences we had as well. I will go to bed now as it is quite late and I want to be ready to accept the new gift of life with which I will wake up tomorrow in the morning. 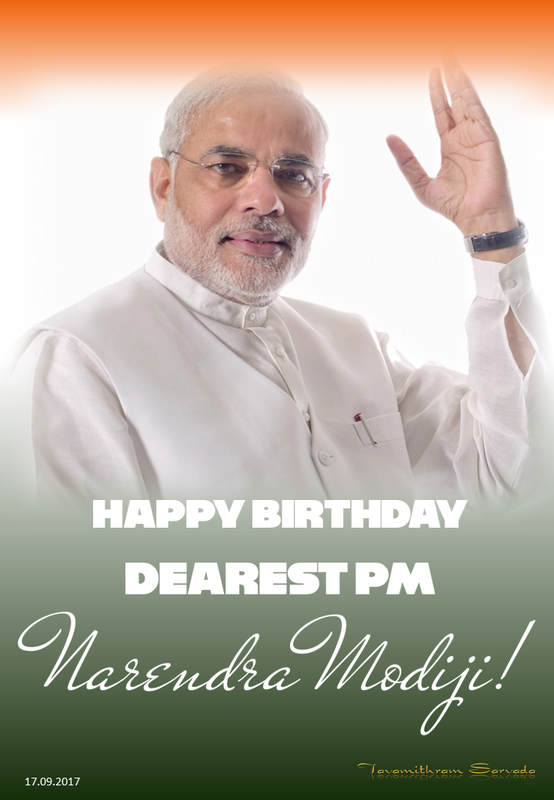 My warmest (belated) b’day wishes to you an honest and kind hearted person who is always there for all of us…. May your wonderful life and your wisdom continue to shine on the lives others and prevent them from going astray…. I am reminded of the words said by Sophia Loren which very much describes someone like you……..
Amalji many many happy returns of the day 🙂 . May God give you all strength, happiness, and positiveness and may his grace be upon you forever. May all your wishes come true. I would like to pass on warm greetings from our Maithreyi to everyone of you. When I look back at that moment when I contacted you for the first time after I heard about you from my friend, I start to wonder how I came to the place where I am today. If not for you I don’t think I could have crossed the hurdles and challenges I faced in my life. My life which was worthless some years back has become very beautiful and fulfilling all thanks to you. Happy birthday sir! We admire you very much! Birthday wishes to you sir! Many more happy returns of the day our beloved sir. I am putting my head in your feet and saying happy birtday to you. My place is in your feet because of the gift of my rebirth which you gave me in 2014. Many many more happy returns to Sirji! Aap na hote to hum kahan hote! Thousands of thanks to you dear sirji. You are doing a superb job by helping people. Your advice, wisdom, guidance and teachings will always remain in our hearts. Happy birthday dear friend sarvada. 15.08.2017 – Completing 70 years of freedom from colonial rule. I thank each and every one of you for sending me your love and good wishes today on my birthday, through mails, calls, messages and posts on this forum.This was the day 70 years ago when India became free from colonial rule. May the countless sacrifices made by our men, women and even children be written in gold in the annals of Indian and world history and may those great souls continue to be loved and revered by people forever. India is the greatest, most ancient, extremely beautiful, peaceful, rapidly developing and mind-blowing country with the most loving, accommodating, spiritual, forgiving, cool, colourful, diverse, innovative and ready to help people. Being born on this great day is an honour bestowed upon me by destiny. This is a video of the Indian National Anthem played on a Hohner CX12 harmonica.